Brands and celebrities are getting passionate about the emojis, or lack thereof, currently available. On April Fools’ Day, Slice Communications launched a professional services division called emoji communications as a prank. The announcement was fittingly made with a press release composed completely of emojis, accompanied by an English translation. But it quickly became clear that the gag was going over people’s heads, with many sending the firm congratulatory messages, says Cassandra Bailey, Slice’s president and CEO. This is because, as PR pros agree, the idea isn’t far-fetched in a world where text communications are the norm. "We know that visuals work really well in comms, helping to convey emotion and context. Emojis provide another way to do that," explains Bailey. It’s not just members of the public either as brands and celebrities are getting passionate about the emojis, or lack thereof, currently available. Groups including Apple, Adobe, Microsoft, and Oracle are members of the Unicode Consortium, the group that governs which emojis appear on the keyboards of iOS and Android devices. Celebrity Miley Cyrus’ tweet about the need for an emoji ethnicity update in 2012 spurred a petition on DoSomething.org, which collected thousands of signatures. 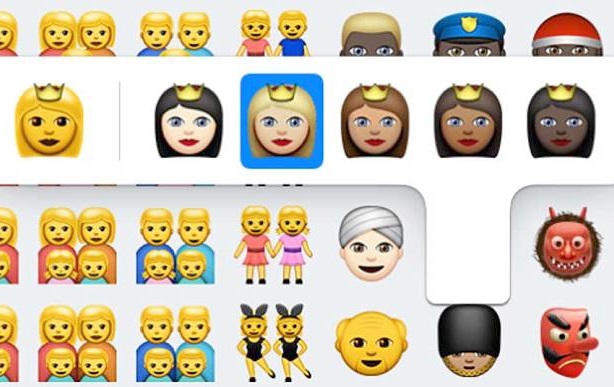 In response, Apple finally introduced diverse emoji icons, including black and brown faces, in its April iOS 8.3 update. A separate petition, perhaps slightly less pressing, was started by Taco Bell to make the taco emoji a reality. The brand was inspired to engage with consumers after the consortium hinted in November that a taco emoji might be included in the next batch of emojis it is releasing later this year. As a side note, the consortium’s approval process is long and formal. To even be considered, characters must be in widespread use as textual elements. "This means a lot to our fans," says Matt Prince, Taco Bell’s PR manager. "The taco emoji would be a big part of the way we communicate if it is approved." Taco Bell’s Change.org petition had amassed 32,294 supporters by May 7. Certain brands, however, are bypassing the consortium and creating their own emojis, which users must download to access. For instance, earlier this year, Ikea released a keyboard app with emojis emulating the retailer’s most-renowned items, such as its Swedish meatballs and Billy bookshelf. Advertising firm Lemz created the emojis, many aimed at helping bickering couples communicate better over who does the chores. In six countries, the app was a top 10 download, and in 54 countries it was in the top 100. The app was covered in more than 260 media outlets worldwide, according to Lemz strategist and partner Tim Claassen. "Emojis offer a great way for brands to become part of people’s everyday conversations on a global scale," he adds. "This is especially true for Millennials who are using communication platforms on their smartphones more and more, such as Facebook Messenger and WhatsApp." General Electric is also using emojis to reach new audiences. In December, the GE Emoji Science campaign launched, encouraging people to send an emoji to ‘GeneralElectric’ on Snapchat to receive a short video of a corresponding science experiment done live in a lab. VaynerMedia assisted with the campaign. "GE is all about science, innovation, and tech, and we are always looking for new ways to make those areas relatable to new audiences such as the next generation investor, business decision-maker, or customer," says Sydney Lestrud, global digital marketing manager, GE. During the three-day campaign, GE received about 2,000 snaps and sent more than 800 videos. The effort increased GE’s Snapchat community by 260%. Could the idea of a PR firm launching an emoji comms division be a reality in the future? Bailey isn’t ruling it out. However, she warns that they pose a risk of miscommunication. "There must be a shared understanding and definition of what emoji icons mean. Only then can we use them in a way that gives them credibility," she says. PR pros considering branded emojis should keep in mind that they can be trickier to measure than official Unicode Consortium-approved emojis. "For us to track a branded emoji, they must be part of the Unicode emojis at the time that the content is ingested into our systems," says Babak Rasolzadeh, director of engineering for data science at online intelligence solutions company Meltwater. He says Unicode’s emojis are easy to measure because they are coded in a way that uniquely identifies each icon. However, branded emojis are more like images, with no specific code attached.